Our Pt Charlotte irrigation repairs can ensure your irrigation system delivers the proper amounts of water. Properly working irrigation systems are a must have for a healthy lawn and landscape. However, if an irrigation system is broken, it can cause health issues for your lawn and landscaping and even violate Port Charlotte’s water restrictions. 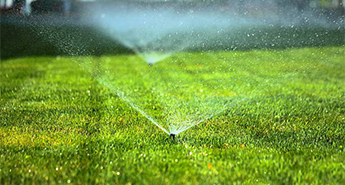 Our professionals can even tweak Irrigation schedules to give your lawn the right amount of water. With the proper planning and regular maintenance, we can keep your landscape watered efficiently while encouraging healthy growth, reducing damaging pests and maintaining your landscape investment green & lush for years. Pt Charlotte has a unique weather environment. The dry season typically starts mid-October and runs through May. During this time of the year most of SWFL, if not all, is in a drought. Pt Charlotte, and the surrounding areas, usually enforce water restrictions that limit irrigation system usage to combat this. Unfortunately, these restrictions can cause stress for both plants & lawns in the area. They could have easily gotten damaged from lawn mowers, vehicles, or from just being old. A leaking irrigation can cause significant loss of water pressure, which may lead to high water bills, dry areas in your landscaping, and wet areas near the leak that lead to lawn diseases and weeds. Many irrigation repair warning signs lead to easy irrigation repairs. The problem must first be identified. The most important part of maintaining and optimizing your irrigation system is having regular inspections completed by Coastal Irrigation & Plumbing, a certified irrigation repair contractor while the irrigations are operating. 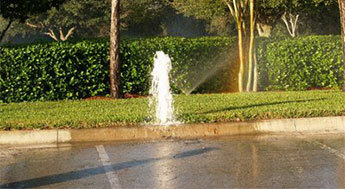 Irrigation repairs are not always costly. Waiting on completing repairs can lead to other problems depending on the type of repair needed. Coastal Irrigation & Plumbing offers expert irrigation repairs, replacements, and maintenance on almost every system in use today. We are proud to be one of the few companies in SW Florida to offer CoastalCare, a worry-free annual maintenance plan. Fully licensed, bonded, and insured, for servicing both homeowners & business owners throughout the Port Charlotte area our design professionals and technicians offer a variety of solutions to meet the demands of Florida’s outdoor environment. For help with your Pt Charlotte irrigation repairs, please complete our online request form or for the fastest response call (941) 473-8772 today!